We offer discounted airport transportation and shuttle service in Ellicott City Maryland. 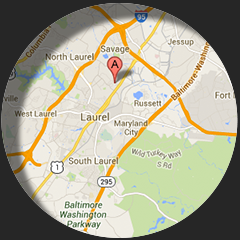 As a community based company, we do our best to provide the most affordable and safe car service in Ellicott City Md. Our sedan service is always prompt, better than the normal filthy Ellicott City taxi and runs 24/7 for your convenience. The vehicles in our fleet are well maintained to ensure your safety and peace of mind. All drivers are thoroughly screened for your protection, well trained and knowledgeable with the entire Howard county and surrounding areas. We service BWI, Dulles, Reagan and Philadelphia Airports respectively. If you are in town for business or pleasure, just relax and sit back. We offer an affordable and dependable car service that fits every budget imaginable. So you can make an easy and quick online reservation today on this site, or call our dedicated customer service reps at 410-975-8200 to customize you trip now. Don't wait. Have a safe and wonderful trip.